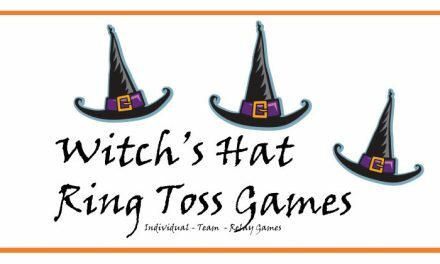 The Candy Corn Guessing game is a classic Halloween party and office activity that is perfect for all ages and Candy Corn Guess is perfect for the classroom, group event, dinner party and the office. 1. Purchase bags of candy corn. 2. Find the clear container you plan to use for the Candy Corn Guess and fill with candy corn. 3. Put all the unused candy corn away and then dump out the candy corn in the container and count it. 4. Write down the number in a safe place and place the candy corn back in the container. 1. 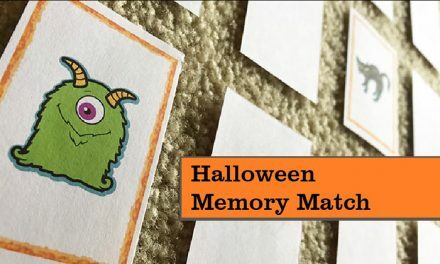 Let guests know that you are doing a Candy Corn Guess. 2. 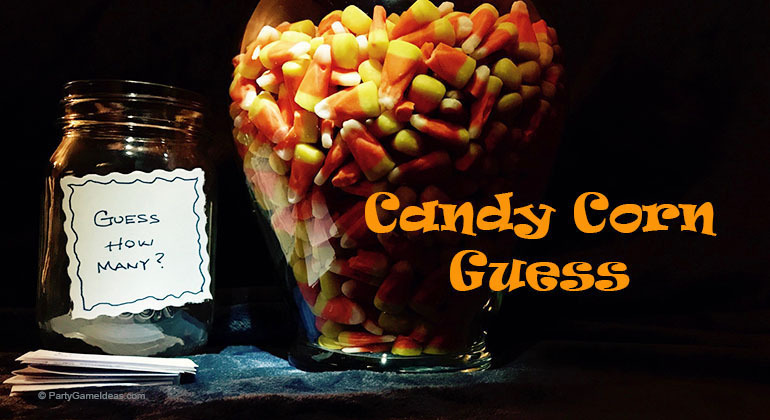 Each guest is shown the jar of candy corn and encourage to submit a guess as to how many candy corn are in the jar. 3. Each guess must include their name and the candy corn guess. 4. When all the guests have submitted their guess, the host reviews the guesses and sees which guest is closest to the actual number and that person wins a prize. Nothing throws off a Candy Corn Guess than an odd shaped jar or vase. The math guys won’t have an easy time of it and the shape will help make guessing harder. If you are looking for a unique container, keep your eyes open for the big animal cracker bear or cheese ball containers sold at the warehouse clubs. 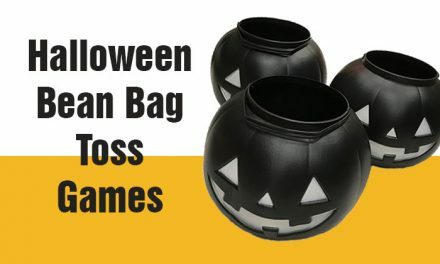 Sometimes they do seasonal containers in Halloween or unique shapes, so just be on the lookout. The whole point of the Candy Corn Guess is to keep them Guessing right? Well add extra items into the Candy Corn mix. You’ll need to count these items too, but it adds to the fun. Consider adding mini-Hershey bars, Halloween Hershey’s Kisses, any mini candy bars, gummy eyeball, plastic eyes or even dozens of plastic spiders. Then if you want, have several containers for guesses. 1. 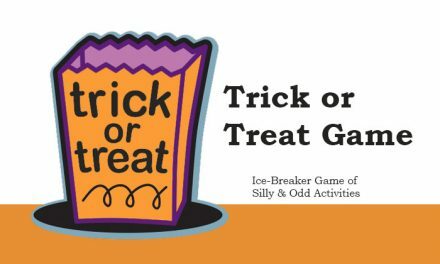 For Candy Corn and one or two others for Spiders, candy bars, or whatever you feel is challenging. Use unique items to create a face, image or set in the container. When you add unique items it makes it hard to figure out how many and it adds some fun to your Candy Corn Guess. For this Candy Corn Guess, we paired to vases together. The vase on the left includes candy corn and marshmallows used for the mouth eyes and hair. You can use food dye or a marker to create the eyes, but if you use a marker just make sure that no one eats the candy. The Candy Corn filled vase on the right includes licorice with a thin wire in it, so it would hold its shape, decorated bloodshot ping pong balls and licorice banded together at the top for hair. Well for this Scary Candy Corn Guess Contest, we just added a hockey mask. Adding a mask was simple and it makes the guessing game a little more themed. We used a simple clip on the back to hold it in place. Instead of buying a mask, we just used one from a previous Halloween. If using more than one jar/container consider allowing guests to guess on each one.